Being mistaken for Jet will never be a concern of Bloc Partys, but ensuring they grow as musicians to satisfy themselves and their fans is. Theyve become one of Britains most successful and critically lauded bands by establishing an accessible sound that constantly wanders outside the realm of conventional rock music. Okereke, for one, isnt about to let Bloc Party fall into any creative confinement. If you ask the singer/guitarist about his love for R&B hell tell you how he took a chance exploring his "inner Timbaland on the bands second album, the much-anticipated A Weekend in the City. Inspired by cutnpaste editing techniques, Okereke began fiddling with the albums lead single, "The Prayer. "Thats something I was obsessed with. I wanted to try and do something that we hadnt done beforehand using a computer, he says with more passion than his usual business-like dialect. 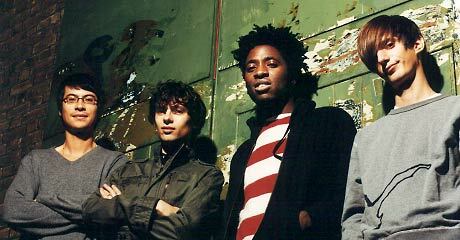 Bloc Partys bottomless ambition was their biggest asset while recording the follow-up to Silent Alarm. Outdoing their 2005 debut  which sold over a million copies worldwide and topped many year-end lists  was no easy task but A Weekend in the City exemplifies their dexterity and breadth as musicians. "We werent concerned with how successful or critically acclaimed the record had been, nor were we looking to make something that sounded like what was popular, Okereke says. To help break new sonic ground they decided on producer Garret Lee, a gifted studio head whose C.V. includes U2, Snow Patrol, Kasabian and his own late 90s big beat records under the name Jacknife Lee. "The way that [the album] moves sonically it has a very different count [to Silent Alarm], so it was important to have someone confident who could juggle that without the detriment of hearing the others, says Okereke. Lees hand in shaping the album rejuvenated the bands studio resonance; some felt Silent Alarm was stifling and inhuman, but Weekend is alive and kicking, like the city in which it was conceived.